Excellent insights, clearly written … tells a powerful story of opportunities missed … how difficult it is for serious, reasonable people to merge their multiple views to confront a focused and brilliantly opportunistic maniac who consults with no one and murders those who disagree with him. 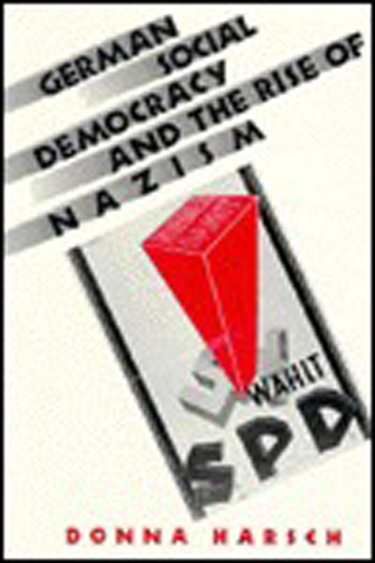 Consider … in 1928 … SPD was at its peak, with 30% of the vote while the Nazis received less than 3% … SPD, with 937,000 party members, held power in the state of Prussia, with 2/3 of the German population. Five years later, Hitler was Chancellor and the SPD had been totally demolished and made illegal. and adjust to prevent it. … SPD struggled to change but could never bring itself to make reasonable compromises with other non-radical parties who also opposed Hitler.